Anytime you ask for a table at a busy restaurant and return with a wait time of almost 2 hours, heads turn. But that wasn’t the case last week as the line for Tacoma’s grand opening Rhein Haus nearly wrapped into the Stadium Thriftway parking lot. 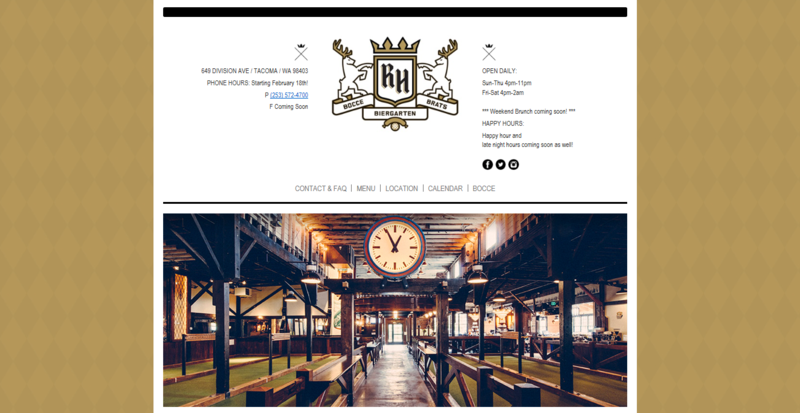 Maybe it’s the bocce tables and cozy cabin ambiance, or the Bavarian style sausage and soft pretzels, or maybe it’s simply good bier and marketing. One thing is for certain – the community rallied in stunning support, unlike this town as seen in some time. The wait was long and many enthusiasts sought solace in nearby establishments. We’re here to congratulate our new neighbor while suggesting a few friendly alternatives to fill your cup and pass the time during potentially long waits this weekend. Full bar and restaurants, Arthouse Café and Indo Asian Street Eatery. Read Experience Tacoma’s feature on Indo HERE. Shake, Shake, Shake for dinner eats and old fashioned milk shakes. The Parkway Tavern, Doyle’s or Hanks for 21+ bar like settings with game tables and refreshments. For more options, be sure to visit Stadium’s bar and restaurant directory. Or venture outside to neighboring districts like Old Town and 6th Avenue.